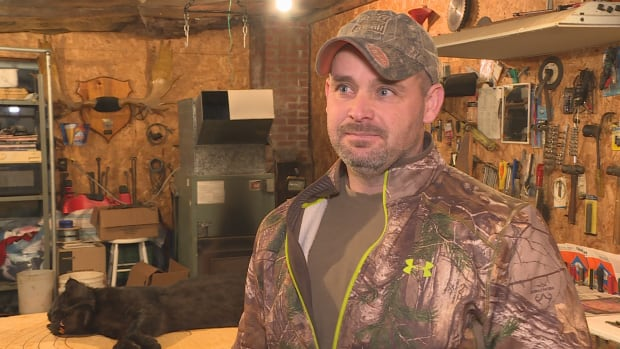 New Brunswick trapper received an unexpected gift on Christmas Day — a rare melanistic bobcat. 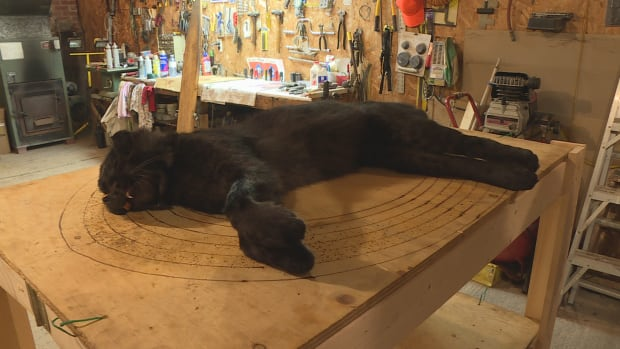 Studies show there has only been one other black bobcat caught in Canada. “I thought it was a house cat,” said Oswald McFadden, who has run the same trapline for the last decade. Melanism is a genetic trait that displays a black-coloured pigment and can often be found in species like squirrels and jaguars. Much like jaguars, this bobcat’s spots and markings can still be seen in bright lights. “It’s a soft and beautiful coat,” said McFadden. According to the 1995 paper, A Melanistic Bobcat from Outside Florida, written by Jay Tischendorf and Donald McAlpine, the only other case of melanism found in a Canadian bobcat was dated in November 1983. The black male bobcat was trapped near Henry Lake and is now mounted at the New Brunswick Museum. 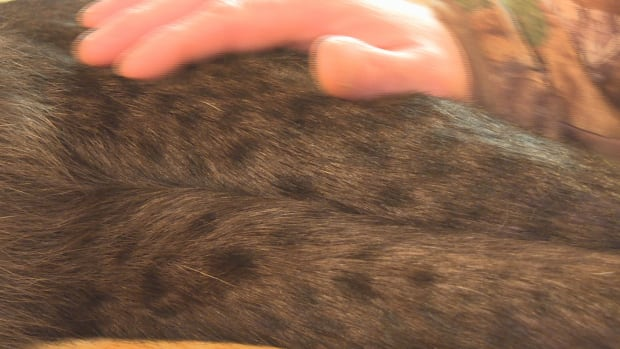 The article says there’s only been 10 other melanistic bobcats ever recorded — all found in Florida. “The only way it could have been better is if my two daughters would have been with me,” said McFadden. McFadden’s pictures of the big cat have been shared thousands of times online. It’s gotten to the point where American hunters are claiming the animal was caught in states like Virginia and Pennsylvania. “It’s weird the way the internet works,” said McFadden. The cat was already dead when McFadden checked his trap, but when asked if he’d encountered the animal alive, he said it’s possible. McFadden might donate the animal to a museum, sell it, or mount it for himself. So far he’s had offers from those willing to purchase the carcass worth $1,000, or in exchange for a guided bow-hunting trip to hunt elk. Francis, thanks so much for sharing the excitement about your black bobcat sighting. Please don’t share the location. There will be many trappers who will set out to kill it. We should leave these animals on the landscape to be valued again and again by the increasing numbers of wildlife watchers and non-consumptive users of our public lands. This bobcat deserves a long life. Thank you!